Researchers using the Oxfam archive now have access to a valuable new resource, with the completion of cataloguing of almost 2,400 ‘project files’ spanning 50 years. The files reveal the use and impact on communities of grants made by Oxfam as part of its programme of long term agricultural, economic, health and other development work, and response to natural disasters and other humanitarian emergencies. The files contain documentation regarding applications to Oxfam for grants, and the making of grants, between 1954 and 2004 and are arranged according to the agency or partner applying for the grant and by country. Although the content and level of detail in the files varies, a typical file will contain the initial project proposal by the agency or partner, Oxfam’s Grant (later Project) Application Summary Form approving the grant, financial information, correspondence, and reports on the use of the grant, progress with the work, and its impact. Some files also contain photographs of beneficiaries and the work being carried out. Together the files will provide a useful insight into the sort of work being funded by Oxfam at different times and in different parts of the world and its effectiveness in fighting poverty and saving lives. The catalogue of project files is available now via the Bodleian Library’s website, alongside three additional Oxfam catalogues released in the autumn, describing records of the organisation’s programme policy and management, records of its campaigning work and records of its internal and external communications. Two further tranches of project files are expected to be catalogued and made available in early 2016 and mid-2017. I recently attended the Archives 2.0 conference at the National Media Museum, Bradford, which set out to examine the challenges and opportunities of photographic and film archives. 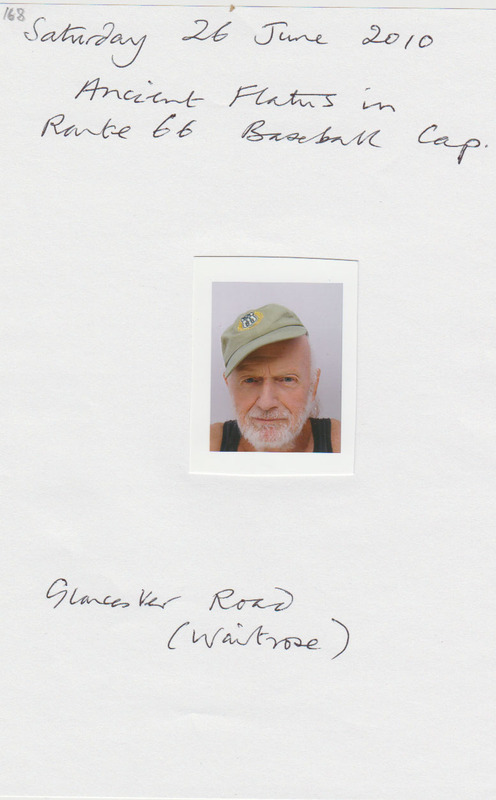 Photographers often have no knowledge of what happens to their archive after their death. This is a cross generational issue affecting both early career and established photographers. Working with analogue and digital photographs is a more complex issue than they had anticipated. There is a false assumption that digitisation will solve the issue. There is no national forum to consider these issues and there are no standard procedures in place to help photographers prepare their archival legacy. The need for archivists to be proactively working with photographers, and other archive creators, was also discussed by Denise Gose in her keynote address. She outlined how the University of Arizona’s Center for Creative Photography builds relationships with photographers throughout their working lives to ensure that their work is captured and preserved for the future. One of the major themes of the conference was the challenge of managing today’s digital heritage. There is a significant challenge in evolving long-term preservation methods for digital filmmaking. Sarah Atkinson spoke about the Deep Film Access Project at the University of Brighton which is developing a methodology whereby both the digital and analogue materials created in the process of producing feature films can be captured, integrated and made accessible to researchers. There is huge potential in digital technology in terms of access, preservation and participation. Audio visual digital preservation is particularly problematic. The amount of data to be preserved is huge. Interpretative frameworks and best practice are still very much a work in progress. Mass digitisation of analogue film seems to be too expensive for most institutions for the foreseeable future. There is a need for shared strategies for mass digitisation in the short-term. The main message that I took away from the conference was that a successful shift to ‘archives 2.0’ was heavily reliant on collaboration not just between institutions, but between archivists, curators, librarians, donors, creators, academics, technical specialists and community groups. Cover of Chandler’s novel The Big Sleep. In these few words Chandler conjures up the atmosphere of romantic urban noir in which his quintessential Private Investigator, Philip Marlowe, operates as a modern knight errant. Now, as part of the Bodleian’s programme of retrospective conversion of its finding aids, the formerly in-house catalogue of the Library’s Chandler collection has just gone online. Cover of Chandler’s novel The Long Goodbye. At the time of his death in 1959, Chandler’s British literary agent was Helga Greene, and it is from the Helga Greene Literary Agency that the majority of the papers derive. They give unparalleled information about the author’s business transactions, but also include some important literary and personal papers. Of particular interest are Chandler’s working notebooks; drafts and fair copies of poems and short stories; three hundred discarded leaves from The Long Goodbye, and three film scripts of an acrimoniously failed collaboration with Alfred Hitchcock for Strangers on a Train. In 2009-10 the Bodleian mounted a small exhibition commemorating the fiftieth anniversary of Chandler’s death, which featured some of these manuscripts and a selection of the archive’s 140 photographs of Chandler from babyhood until the last year of his life. The collection was placed on long-term deposit in the Bodleian by Helga Greene’s son, Graham Carleton Greene. Chandler aficionados already know that a small but significant archive is also held by The Charles E. Young Research Library at UCLA. Both the Bodleian and Charles Young have been involved in recent research enquiries which have speculated on the identification of Philip Marlowe and Sam Spade with a real life private eye called Samuel Marlowe, one of the first black PIs. The catalogue of the further papers of the Liberal politician Lewis Harcourt, 1st Viscount Harcourt, is now available online. The newly available material complements two other tranches of Lewis Harcourt papers catalogues in the Harcourt Papers and the Additional Harcourt Papers. Lewis (‘Loulou’) Harcourt (1863-1922) was the son of the Liberal politician Sir William Harcourt. After serving as his father’s private secretary, Lewis Harcourt entered the House of Commons in 1904 as MP for Rossendale. He was appointed First Commissioner of Works in the Liberal government of Sir Henry Campbell-Bannerman in 1905. He was promoted to the Cabinet in 1907. He remained in the Cabinet when Campbell-Bannerman was succeeded as Prime Minister by H.H. Asquith in April 1908. He was promoted to Colonial Secretary by Asquith in 1910. Entry from the political journal of Lewis Harcourt concerning the outbreak of the First World War, 4 August 1914. Correspondence and papers concerning the National Liberal Federation Home Counties Division. Harcourt’s political subject files, 1900-1920, which include material relating to the formation of Campbell-Bannerman’s government, 1905; the appointment of Asquith as Prime Minister in 1908; annotated Foreign Office telegrams on the outbreak of the First World War, women’s suffrage; and Irish Home Rule. Correspondence and papers relating to colonial affairs, 1909-1921. Correspondence and papers concerning the founding of the London Museum, 1910-1922. 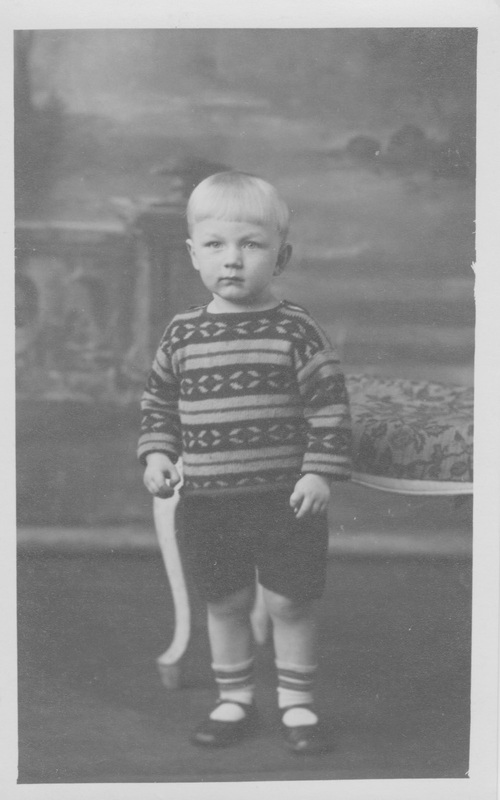 Three ages of Ivor Treby – Treby at nearly two years old in 1934. 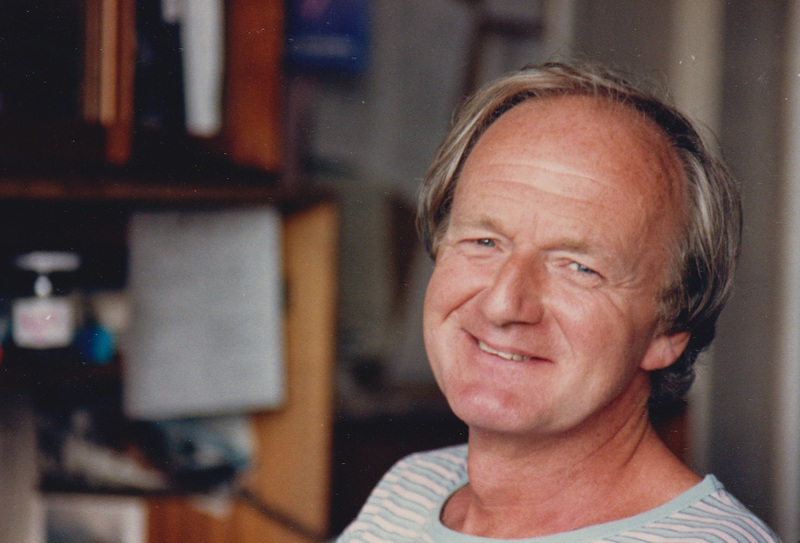 Three ages of Ivor Treby – Treby in 1986, aged 53. 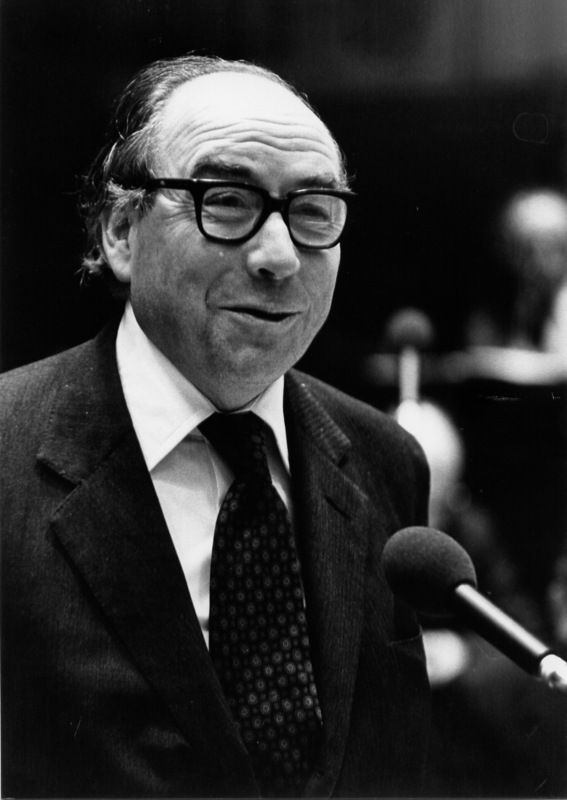 The catalogue of the papers of Roy Jenkins is now online and the archive is available for readers in the Weston Library. On 5 November 2014, the Bodleian Library will be celebrating the lives and archival legacies of Roy Jenkins and former UK Prime Minister Harold Macmillan with a discussion between their biographers John Campbell and D.R. Thorpe and current Chancellor of the University of Oxford, Lord Patten. This event is free and tickets can be booked online. Roy Jenkins, Baron Jenkins of Hillhead (1920-2003) was a British politician, author, and latterly Chancellor of Oxford University. His father Arthur was a miner’s agent and mine union leader who in 1935 became the Labour Party MP for Pontypool in Wales and later parliamentary private secretary to Clement Attlee (whose archive is also in the Bodleian Library). Steeped in Labour politics, a parliamentary career was Jenkins’ ambition from a young age. He studied Politics, Philosophy and Economics at Balliol College, Oxford, and served during World War II as an artillery officer and Bletchley code breaker. He didn’t wait long, though, before seeking a seat in Parliament – succeeding in 1948. Jenkins’ career was illustrious. Under Labour Prime Minister Harold Wilson, Jenkins became Minister of Aviation (1964), Home Secretary (1965-7, 1974-6), Chancellor of the Exchequer (1967-70) and deputy leader of the Labour Party (1970-2). A reforming Home Secretary, he oversaw the liberalization of the laws on divorce, abortion and homosexual activity, as well as abolishing theatre censorship. After Wilson announced his resignation in March 1976, Jenkins failed in a campaign to become Labour Party leader and resigned to take up a position as President of the European Commission (1977-81). Upon return to the UK, and estranged from the Labour Party, Jenkins was a founding member of the Social Democratic Party (SDP). He was elected as SDP member for Hillhead, Glasgow in 1982, losing the constituency in 1987 and leading the SDP into a merger with the Liberal Party – renamed the Liberal Democrats. No longer an MP, Jenkins was elected Chancellor of the University of Oxford in 1987, a position he held until his death. He was given a life peerage and was, from 1987, leader of the Lib-Dem peers in the House of Lords. Jenkins continued to exercise political influence, including as a mentor to Tony Blair. Alongside his political work, Jenkins had a distinguished career as an author, particularly of political biographies, including those of Sir Charles Dilke (1958), Asquith (1964), Gladstone (1995) and Churchill (2001), as well as his own autobiography A Life At The Centre (1991). Labelled the ‘last of the whigs’, he also led an active social life, was a prolific and well-regarded speechmaker, and held positions on numerous boards and committees, not least as President of the Royal Society of Literature. Jenkins’ archive reflects his working life as a politician in the UK and in Europe, as an author and journalist, and as Chancellor of the University of Oxford. 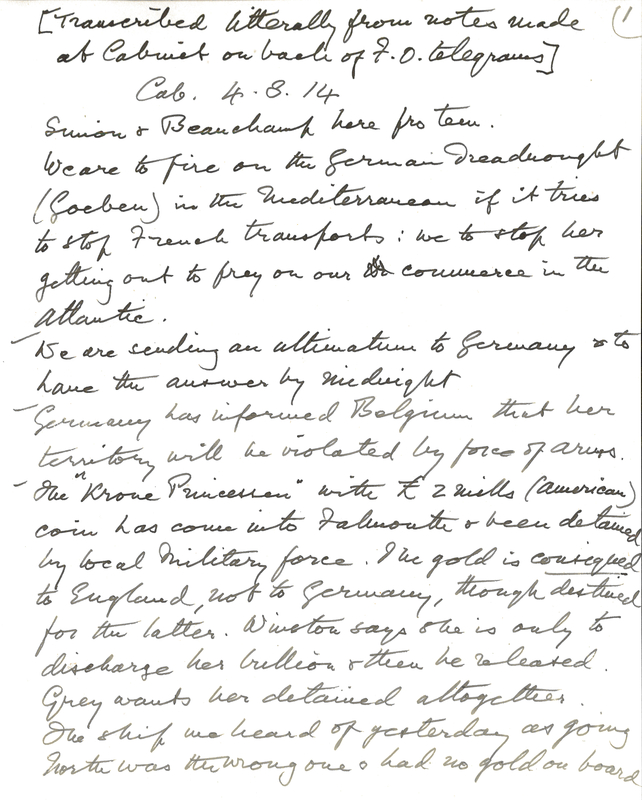 Important sources which are now available to researchers include not only Jenkins’ own detailed daily appointment diaries – which, if you can read the handwriting, make it possible to find out where he was (and who he was dining with) at just about any given moment – but also the diaries of his father, Arthur Jenkins. 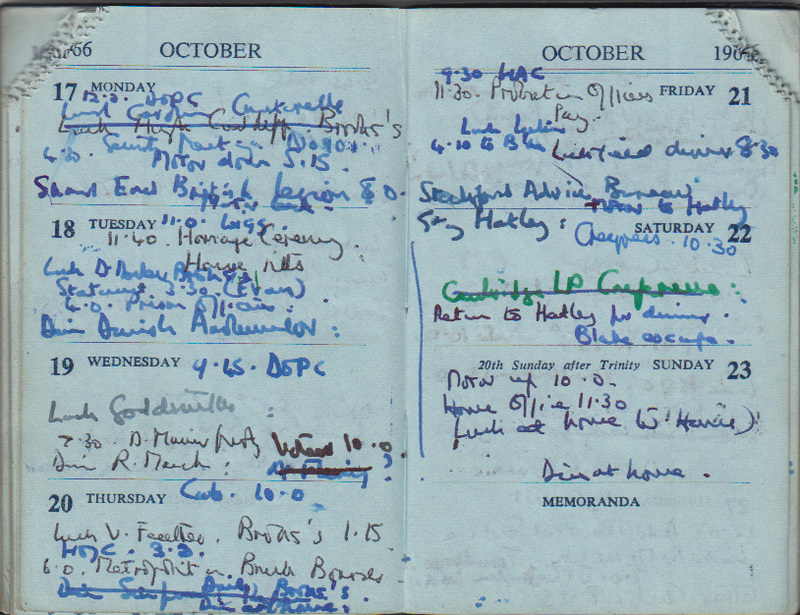 Jenkins’ engagement diary entries 17-23 October 1966. Jenkins was Home Secretary when the double agent George Blake escaped prison on 22 October, which is noted in the diary. 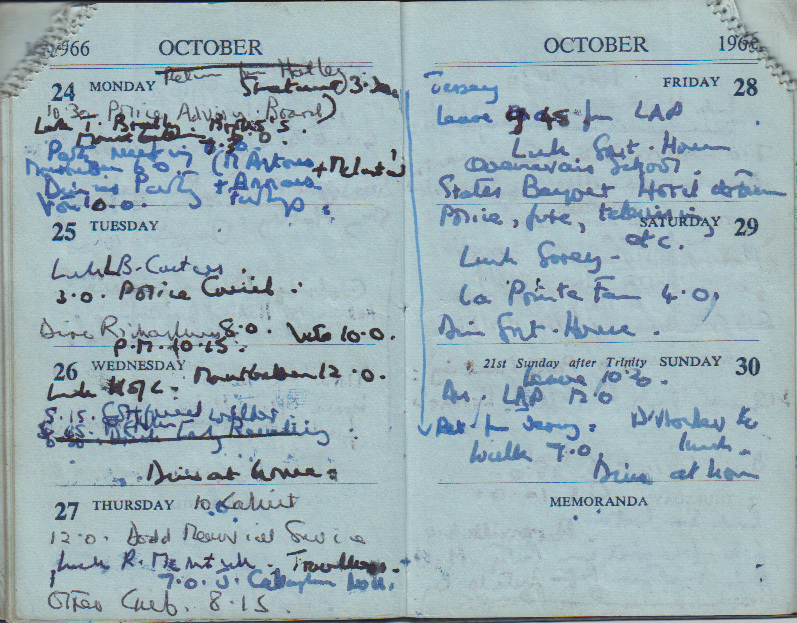 Jenkins’ engagement diary entries 24-30 October 1966. Also available are 59 boxes of Jenkins’ meticulously ordered speech notes; his literary papers, including the drafts of many of his books and his journalism; and a rich collection of personal ephemera, including three boxes of orders of service for funerals, weddings and other commemorations which comprise a “Who’s Who” of British public life in the twentieth century. The archive also includes numerous photographs, including multiple boxes of press photos from Jenkins’ stint as President of the European Commission. The archive is a rich one, and will be invaluable for students of modern British and European politics, political life, and the social history of the twentieth century generally. The first three catalogues to come out of the ongoing Oxfam archive project, compiled with the generous support of the Wellcome Trust, have been made available on the Bodleian Library’s website here. 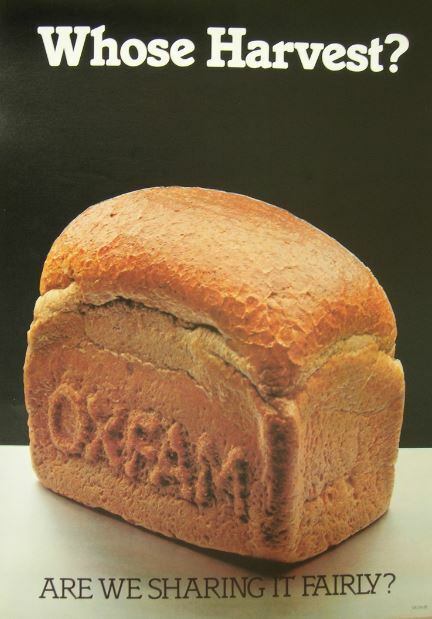 The three catalogues cover, respectively, records of Oxfam’s programme policy and management, records of its campaigning work, and records of its internal and external communications. In total, more than 850 boxes of archive material and almost 500 posters have been newly opened to researchers. Among the programme policy and management records are minutes of the committees directing Oxfam’s development and humanitarian programme from the 1950s, such as the Overseas Aid and Field Committees, and supporting bodies like the Medical Advisory Panel, plus correspondence and papers of the International Directorate. These range from airmail letters from Colonel Widdowson, Oxfam’s ‘Travelling Secretary’, during his visits to potential beneficiaries in Africa and Asia in the early 1960s, to post-2000 papers relating to planning around strategic change objectives and regionalisation. Also of particular interest will be policy papers and reports produced by the Public Affairs Unit from the 1970s and later Policy teams. Records of campaigns include publicity materials, reports and correspondence relating to individual campaigns, such as the influential Rational Health campaign of the 1980s, which advocated the safe use and equitable distribution of medicines. Researchers will also be able to consult communications materials such as Annual Reviews and Grants Lists, press office correspondence, supporter periodicals, posters and many of Oxfam’s early photographs, dating from the 1950s to the 1980s, which will provide additional detail about the organization’s work. 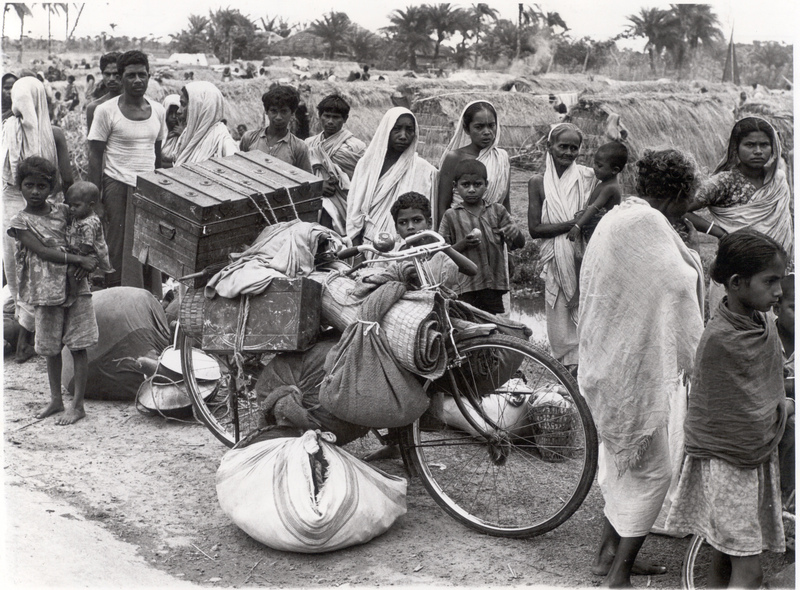 A further 590 boxes of archive material is expected to be opened to researchers by early autumn with the launch of a fourth catalogue, of Oxfam ‘project files’. 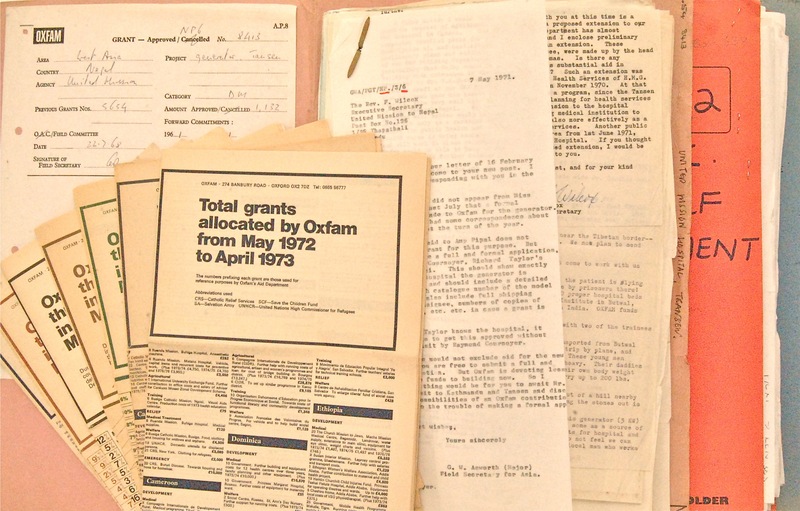 Almost 2,400 files, detailing the use and impact of grants made by Oxfam, will be available for study. Last year the Bodleian received over one hundred glass lantern slides, prepared by R.R. Porter to illustrate his work on the structure and nature of antibody molecules. Porter discovered the 4-chain structure of antibody molecules in 1962 when he was Professor of Immunology at the Wright-Fleming Institute at St Mary’s Hospital Medical School. He shared the Nobel Prize for Physiology or Medicine for this discovery in 1972 with Geoffrey Edelman who had proved that antibodies were multi-chain proteins. This ‘extremely important breakthrough in immunochemistry’ led to a greater understanding of the immune system. 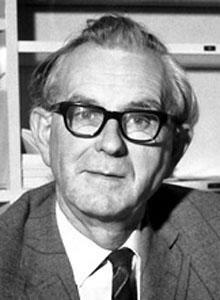 Porter spent the later part of his career at Oxford where he was the Whitley Professor of Biochemistry from 1967 until his death in 1985. 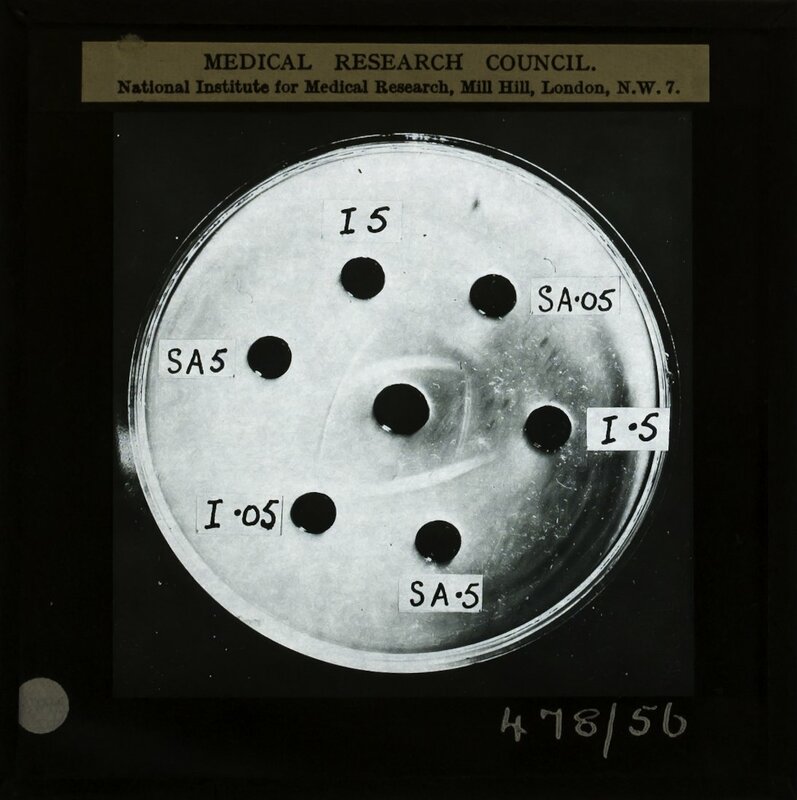 With the help of Dr. Myer Salaman of the Department of Immunology at St Mary’s Campus of the Imperial College School of Medicine, each slide has been carefully described and the full list is available via the Bodleian’s online catalogues. In July 1914 there was no certainty that Britain would become entangled in the ‘Austro-Servian War’ which emerged from the assassination of Archduke Franz Ferdinand on 28 June. The Liberal government in London was deeply divided over Britain’s possible role in a European conflict. A major new source for the deliberations that took place in H.H. Asquith’s Cabinet in the Summer of 1914 is Lewis Harcourt’s political journal. Harcourt, who was Colonial Secretary, sat next to Asquith at the Cabinet table. He maintained a record of proceedings despite being warned more than once by his colleagues not to do so. No official Cabinet diary was kept until David Lloyd George began the practice in December 1916. 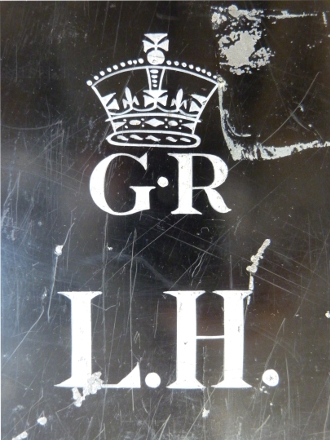 Monogram on Lewis Harcourt’s ministerial trunk in which his political journal was housed before it was acquired by the Bodleian Library. To mark the centenary of British intervention in the First World War on 4 August 1914, we shall be posting entries from Harcourt’s journal on the Oxford World War I Centenary blog from 26 July to 4 August. The journal traces the slide into war, and captures the changing opinions of individuals and groupings of ministers both for and against intervention. Harcourt’s journal features in the Bodleian Libraries exhibition The Great War: Personal Stories from Downing Street to the Trenches. This year it’s 50 years since Dorothy Hodgkin won the Nobel Prize for Chemistry in 1964, ‘for her determinations by x-ray techniques of the structures of important biochemical substances’. She is still the only British female scientist to have won a Nobel Prize. 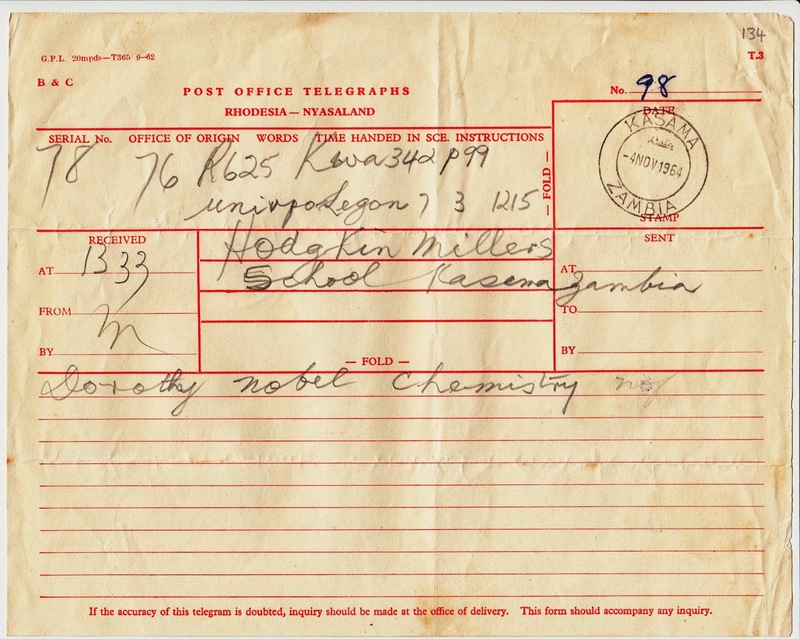 The Bodleian recently acquired a small but significant addition to the Dorothy Hodgkin papers from her daughter, Liz. They give a unique insight into the excitement surrounding the award of the prize. At the time Liz was teaching at a school in Zambia and as letters could take a week or longer to arrive, her parents sent a telegram with the good news. To keep costs down, they sent the shortest possible message, ‘Dorothy nobel chemistry’! In fact, Dorothy was also abroad at the time, visiting her husband in Ghana, where he was working. Following the telegram she sent a longer letter to Liz, describing how she had heard the news and how the small local post office was so overwhelmed with congratulatory telegrams, that she was asked to come and collect them herself. The first cable came in from John Kendrew, Francis Crick & Fred Sanger – and then the girl at the other end said “There are too many here for us to telephone them all – they will block our lines. Come & fetch them, please”. So we picked them up the next morning – & found a lovely one from the lab saying “Thrilled to have telephone call from Stockholm”. The most eminent men in science were lining up to congratulate her, and of course the telephone call from Stockholm was from the Nobel Prize committee, where Dorothy would go later that year to collect her prize. This collection of letters has now been catalogued and is available to researchers in the Special Collections Reading Room at the Bodleian Library.